Getting Started. 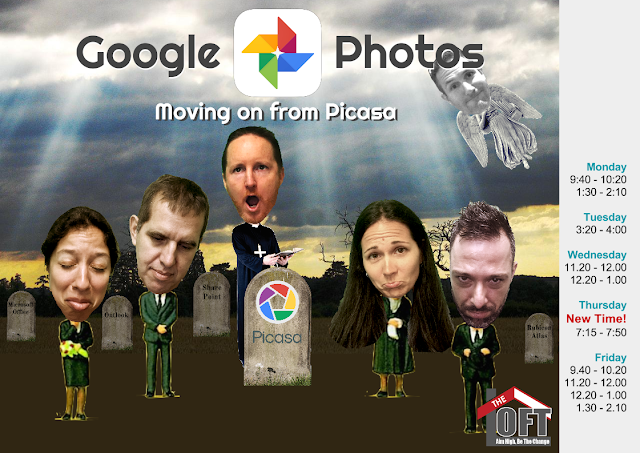 Transitioning from Picasa Web Albums to Google Photos. Creating. Turning pictures into animations, stories and movies. Sharing. Creating and sharing photo folders with students and parents. Join us during one of the following dates/times to discover how Google Photos can be used in your class.